Did you know that you could enhance your smile by “reshaping” your teeth? Yes, it’s possible. With the advancement in general and cosmetic dentistry, finding excellent solutions that deal with your teeth and smile issues is seemingly possible. When discussing cosmetic dental procedures, it’s not just limited to whitening your smile by in-office and home kit whitening, or covering the flaws with your teeth by applying thin sheets of veneers. If you are looking for a simple, one-day visit and reasonably priced procedure for your smile imperfection, check out tooth reshaping. Also called dental contouring, tooth reshaping is an effective method to correct the look of your teeth and further enhance your smile. Most of the time, the process of dental contouring is completed in one appointment and usually takes 30 minutes to finish, depending on the number of the teeth that need to be treated. Thus, compared to other treatments that require temporaries and multiple visits, the results with tooth reshaping are immediate. Only a small portion of tooth enamel is removed, which makes the entire procedure painless with no anaesthesia or sedation dentistry needed. After the treatment, you can be on your way wearing your new beautiful smile. Tooth reshaping can offer both cosmetic and health benefits. The simple procedure can make your teeth look naturally healthier. Chips and grooves can make your teeth unattractive. Reshaping the teeth make these flaws invisible and blends in with the rest of your teeth. Most of all, compared to veneers that only covers the front tooth, dental contouring lets you display your natural teeth without hiding them behind ceramic shells. Another advantage of tooth reshaping that most patients are not aware of is how it can positively affect your overall oral health. If you are struggling cleaning and flossing your teeth due to overlaps, you are at greater risk for many dental anomalies such as tooth decay and gum disease. Dental contouring eliminates the overlaps, making your teeth smoother and easier to clean. Better oral hygiene habits can lead to better oral health and improved overall wellbeing. Once the procedure is completed, there is often no need for follow-up treatments. However, there is a possibility that the contoured tooth can be weakened if your dentist removes too much enamel, which can lead to chipping or cavity. On the other hand, the risks such as these for this type of procedure are minimal. That’s why it is crucial to find an experienced cosmetic dentist who is very knowledgeable about the treatment and, at the same time, can explain about tooth reshaping and its possible risks. If you are not happy with your smile, our highly skilled cosmetic dentists can help. Visit our friendly dental practice in Toorak here at Simply Smiles Dental to know if tooth reshaping is the best cosmetic dental procedure for your smile issues. At Simply Smiles Dental, we believe you deserve a new smile – the one that can make you confident at all times and help improve your dental care. Don’t let your imperfect smile prevent you from looking and feeling your very best. 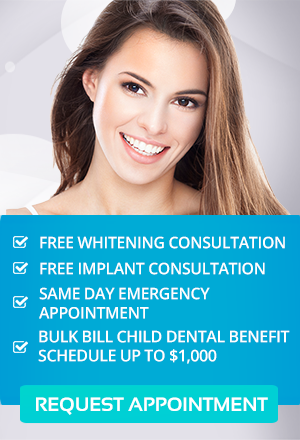 Contact our cosmetic dentist in Toorak by calling us on (03) 9826 2220 or book your appointment online.